Our expertise allows us to offer high quality Seamless Pipes to our esteemed clients. We provide high quality seamless pipes, tubes and fittings that are extensively used in industry like refineries, gas processing, off-shore oil drilling companies, petrochemicals and more. Our range of product includes Stainless Steel Seamless Pipes, Nickel Alloy Seamless Pipes, Monel Seamless Pipes, Inconel Seamless Pipes, Hastelloy Seamless Pipes, Alloy 20 Seamless Pipes, Duplex Steel Seamless Pipes, Cupro Nickel Seamless Pipes and Titanium Seamless Pipes. 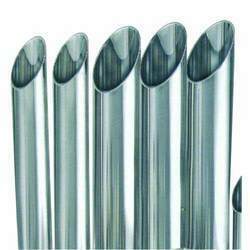 We offer a qualitative range of Stainless Steel Seamless Pipes manufactured from high grade stainless steel. 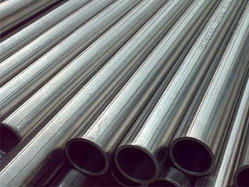 Stainless Steel Seamless Pipes are in great demand in industry. Steel sanitary pipes are widely used because of its corrosion resistance and strength. We provide it in a unlike specifications and grades at affordable prices. We offer a wide range of Nickel Alloy Seamless Pipes fabricated from a high quality non-ferrous and ferrous metal procured from reliable vendors. As per the requirement and needs of our customer, we provide our products in different grades and variety with customized solutions. Nickel Alloy Seamless Pipes are used for large applications because of their reliability and strength. We supply and export a comprehensive range of Monel Seamless Pipes with high quality, durability and utility with latest technology. Monel 400 is a combination of nickel and copper and is hardened by cold working only. 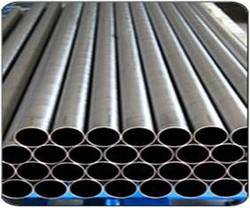 We provide Monel 400 Seamless tubes and pipes at affordable price to our customer. We are engaged in providing a wide range of Duplex Steel Seamless Pipes manufactured with keeping sophisticated technique in mind for developing a high quality product. The high grade raw material used is procured from an authentic vendor. We provide customized solution to our segmented customer base. Our expert team provides an exclusive range of Titanium Seamless Pipes manufactured from qualitative raw material with latest technology. We offer a range of titanium alloy pipe, titanium pipes, titanium seamless pipes, titanium pipe fittings and industrial titanium pipes. Our range is highly appreciated for durability, corrosion resistance and quality and is extensively used in various industries across the globe. 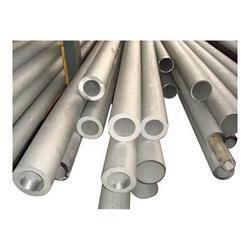 We provide an extensive range of Inconel Seamless Pipes made from high quality raw material. 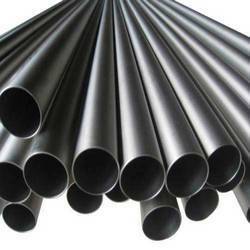 Inconel Seamless Pipes are widely used in various industries in various engineering processes. Inconel is an alloy that is extremely resistant to heat and corrosion. We offer it in a unlike grades and specifications. The product is used in various industries. Backed by the profound experience of the industry, we are involved in manufacturing and supplying precision-engineered range of copper nickel pipe. These pipes are acknowledged by the clients for their features like resistance against corrosion & abrasion, robustness and longer service life. A team of experienced professionals monitor the entire production process, in order to manufacture quality range of products. Hitesh steel maintains a broad inventory of copper nickel, also known as cupro nickel, c70600 (90/10) and c71500 (70/30) in pipe form. Our inventory is composed of c706 in sch. 40 & 80, along with class 200, in addition to c715 in sch 80. Copper nickel is commonly used in seawater piping due to its complete resistance to barnacles and other marine organisms. Its resistance makes seawater fire fighting systems, desalination water systems, and similar applications much more reliable. Hitesh steel can cut material to fit your specifications on our bar saws, precisions, plate saws, shears, and water jets. Contact one of our experts today to find out how we can help meet Your copper nickel needs. Our expertise team of our company offers a comprehensive range of Hastelloy Seamless Pipes made from high grade material. The product is appreciated for resistant to general corrosion, crevice corrosion and durability. Our wide variety includes seamless hastelloy pipes, welded hastelloy pipes, ERW hastelloy pipes, and fabricated hastelloy pipes. We also offer customization as per the specification of our customer. Our team of dedicated and well versed professional offers a wide range of Alloy 20 Seamless Pipes fabricated from high quality material with compliance of industry standards. Alloy Steel is popularly used material in steel industry as it is sturdy and ductile so can be used in many sectors. We are catering various industries like Chemical, Petroleum, electric and Power. We are offering cupro nickel 90 /10 seamless tubes and pipes fabricated with a high grade raw material procured from reliable vendors. We use the latest technology while manufacturing the product. These High corrosion Nickel Alloy Pipes are used in Oil & Gas, Pharmaceutical, Refineries, Gas Processing, Off-Shore Oil Drilling Companies and Petrochemicals. Aluminum bronze alloys are a combination of high strength and corrosion resistance materials which makes them one of most important engineering materials for highly stressed components that are used in highly corrosive environments besides providing optimum wear and abrasive resistance. We provide our clients a finest quality of aluminum bronze pipe. They are well acknowledged as aluminum bronzes. These alloys are offered in varied specifications in which the primary alloying element is up to 14% aluminum. Clients can avail these products in single phase as well as in two-phase. The single phase contains less than 8% aluminum and two phase containing 8 to 11% aluminum. We are leading manufacturer, supplier and exporter of aluminum bronze pipes that are strictly checked on various quality parameters to ensure industry standards. 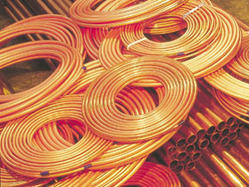 These aluminum bronze pipe are manufactured using high strength alloy that is sourced from trusted and verified dealers. 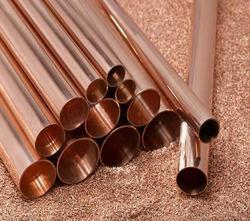 Our organization offers a variegated range of aluminum bronze pipes. Our offered range of products is manufactured by our efficient team using optimum-grade material. Manufactured in accordance with the varied industry set quality guidelines, all these products are available in varied custom-built models. Our organization is highly known in the market for offering a comprehensive range of aluminum bronze pipe. 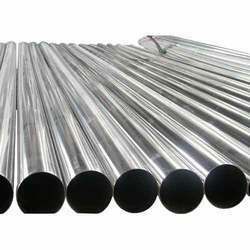 The offered range of tubes is manufactured by our expert professionals using finest grade aluminum and bronze, which is procured from reliable vendors of the market. 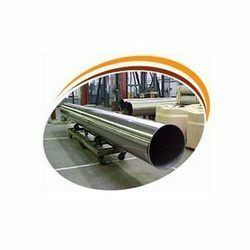 Highly appreciated among the clients for their notable features such as corrosion resistant and dimensional accuracy, these tubes are widely used as heat exchangers in chemical industry, desalination plants and refineries.